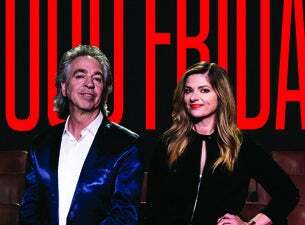 Julia Zemiro, Brian Nankervis, Dugald (The Roadie) and the legendary RocKwiz Orkestra will kick start your Easter weekend in rockin’ style. With incredible performers, amazing songs, comedians, contestants from the audience and the quizzing that we are famous for, let RocKwiz turn your Good Friday into a Really, Really Good Friday! Past guests have included the likes of Billy Bragg, Kate Ceberano, Kitty Flanagan, Daryl Braithwaite, Rich Hall, Anne Edmonds, Deborah Conway, David O’Doherty and many more. A joyous Easter tradition for everyone staying in town for the holidays.